It is no surprise that the Air Ministry chose an author of H.E. Bates’ talents to portray the battle over the night skies of Britain whilst the war against Germany was still to reach its conclusion. 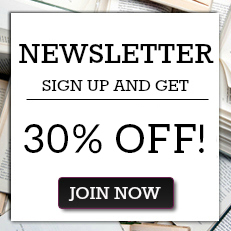 For his rich prose excites and inspires as much as it informs. Bates opens his stirring story by analyzing the comparative efforts of the RAF and the Luftwaffe during the Battle of Britain and the decision by the Germans to turn to attacking British towns and cities, first during daytime, then, as losses mounted, at night. 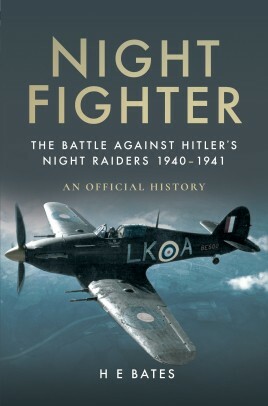 At first, the RAF’s night fighters achieved only limited success, with the ground stations and the pilots unable to track down the intruders in the dark. But that was soon to change. The volunteers of the Royal Observer Corps became increasingly adept at identifying the movement of enemy planes by sound alone and to help the antiaircraft batteries defending London, lines of sound locators were established which measured the course and speed of the intruders to be measured, enabling the batteries to calculate the point and time that the enemy would cross the barrage line. It was a similar method of radiolocation that enabled the RAF’s night fighters to hunt down the enemy bombers and to make the British night skies a deadly battleground for German machines. Whilst antiaircraft guns accounting for most of the enemy aircraft destroyed over Britain in the early months of the Blitz, as the war progressed the RAF’s night fighters became increasingly effective as new technologies were adopted that enabled pilots to locate their enemies. H.E. Bates tells a tale of harrowing scenes of destruction in London, Coventry and across Britain delivered by an ‘unseen’ and seemingly unstoppable enemy, that gradually evolves into one of success and victory – and it is written with the consummate and concise prose of a master raconteur. Born in 1905, Herbert Ernest Bates CBE, better known as H.E. Bates, is best-known for works include that include The Darling Buds of May. During the Second World War he was commissioned into the RAF solely to write short stories. The Air Ministry realised that the populace was less concerned with facts and figures about the war than it was with reading about those who were fighting it and many of Bates’ stories were published in the News Chronicle under the pseudonym of ‘Flying Officer X’. Among a number of other works he was instructed to produce by the Air Ministry were _Flying Bombs_ and _Night Fighter_. Because of various disagreements within the Government, the publication of _Flying Bombs_ was banned for thirty years, though it was eventually released in 1994\. This is the first time that _Night Fighter_ has been published. H.E. Bates passed away in January 1974.